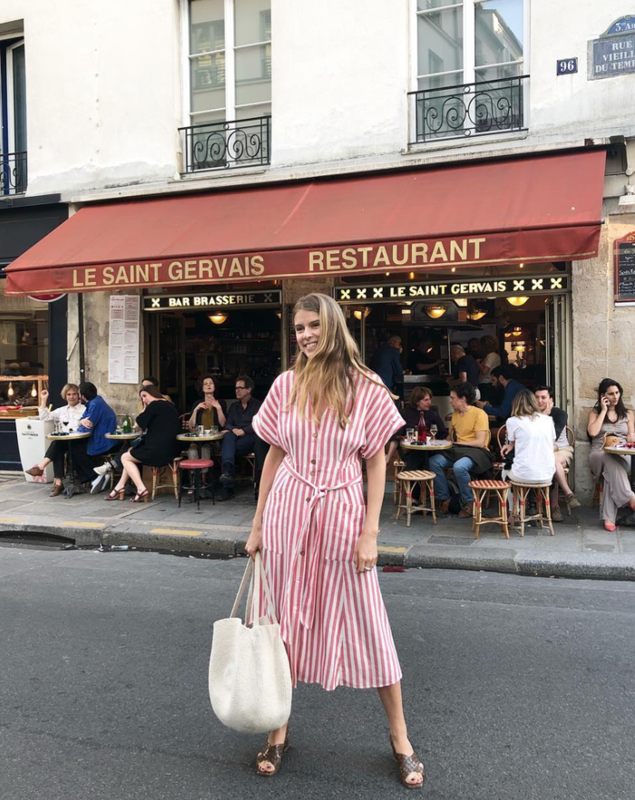 With its distinctly Riviera vibe and a mood that conjures up scenes of The Talent Mr Ripley, a striped cotton dress is the epitome of summer chic. The versatile piece can be worn with anything from flat sandals to sneakers and espadrilles. Style them with a basket bag for a nostalgic look or wear one with a beaded bag to encapsulate a cool Moroccan desert vibe. The best thing about this type of striped dress, however, is that because it's made of cotton, you don't have to spend a fortune on one for it to look expensive. Wear them to work or on vacay. Trust us—this is the must-wear dress choice of the season. Below, we've rounded up the best striped dresses to buy now. You're welcome. The brown buttons are a nice touch. We love this for everyday wear. We love this kaftan silhouette. Style with a basket bag. We love the elongated belt. Throw this one in the beach bag. This one is ideal for the beach. Now you're all ready for chic summer dressing.